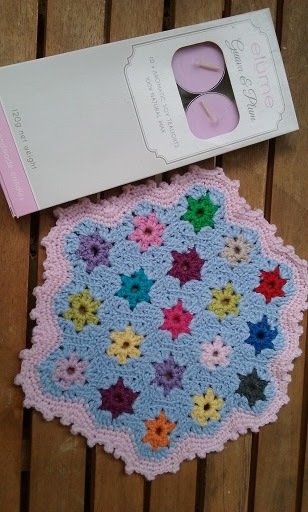 Lucky Mel, beautiful work on the hexie candle mat Barb ! Beautiful present Barb..love the mat and candles. So gorgeous barb, your crochet is just as beautiful in mini form! Thank you so much dear Barb, I adore my beautiful present. Gorgeous thoughtful practical gift. so pretty.